Welcome to the band music page. On this page I give you different works for band at different levels of study for your to study and grasp the techniques that are used in each piece to help you get a better understanding of how each instrument works as a whole collaborative unit. Our first piece that I will direct you to is a true carnival of a piece, as will be explained below. The above score is just a sample, the full score. It has none of the individual parts available. If you would like to buy this piece to keep and study it. You can buy it here. "Mary" by Cody Weinmann. For Concert Band. 21st Century. Advanced Intermediate. Score. Published by Cody Weinmann- CJW Music (S0.1306). "It's the tale of a ghost-ess "Mary" going after all her accusers, creating a ruckus of the city. It's your classic ghost-meets-the-Coney-Island-Carnival. 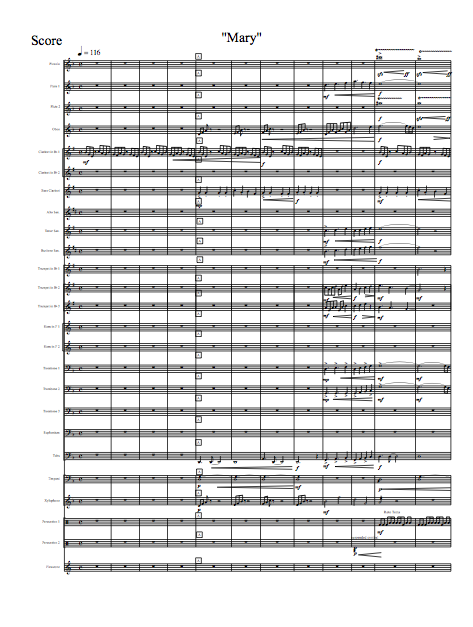 It's the perfect piece for a higher level high school or college/university symphonic band. This audio attachment is a live rendition of the piece. Available for now in score only!". This piece was premiered at Cal State San Bernardino in the Spring of 2010 concert season to staggering ovations. 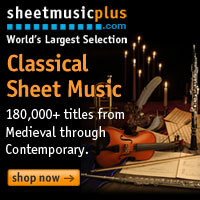 It is a piece that utilizes out-of-the-box instruments (i.e. flexi-tone bends in pitch all throughout the climaxes of the piece). It is also known for the Dies Irae riff in the low brass and of course the main riff in the clarinets. Take a listen to this piece's audio that is included if you buy the score and its component audio file. Click here if you would like to go back to the music types page to see more on other types of music to be taught. Click from band music to go back from the homepage.